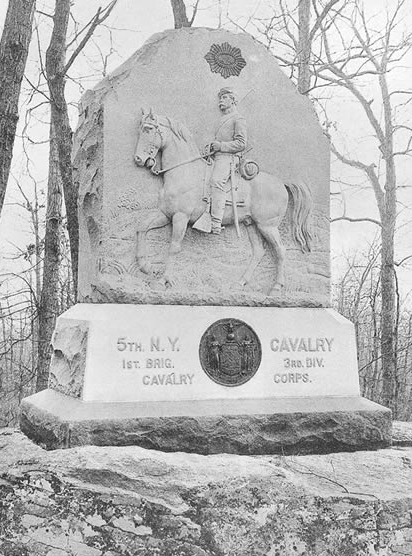 The monument to the 5th New York Cavalry Regiment is located on Bushman Hill. 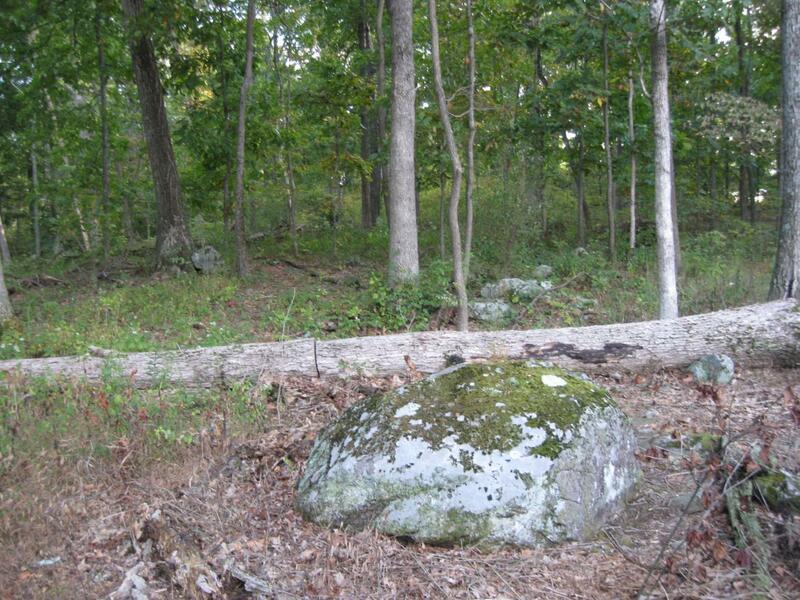 Unless you already know how to get to it, it might not be the easiest monument to find at Gettysburg National Military Park. This view was taken facing northeast at approximately 5:15 PM on Wednesday, October 6, 2010. 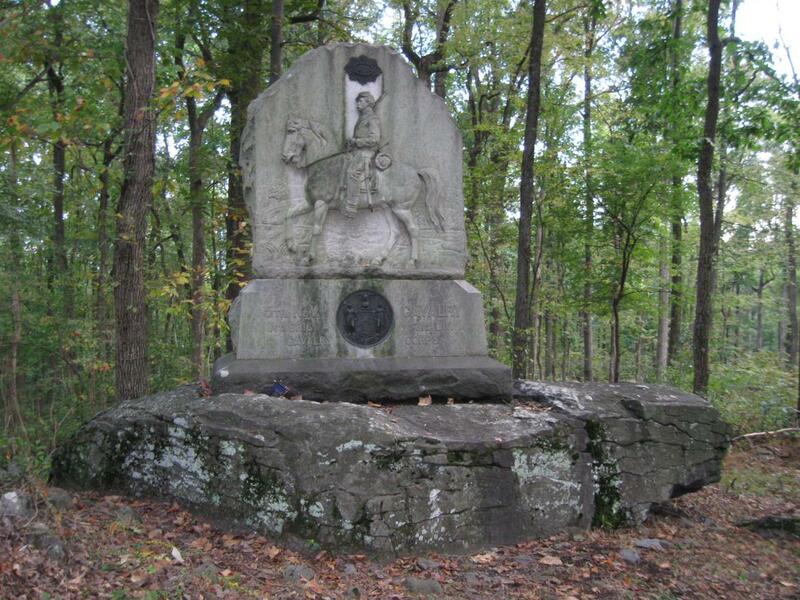 The monument to the 5th New York Cavalry Regiment is located on Bushman Hill, southwest of Big Round Top. The monument and some other monuments in the area are in the need of some good cleaning. 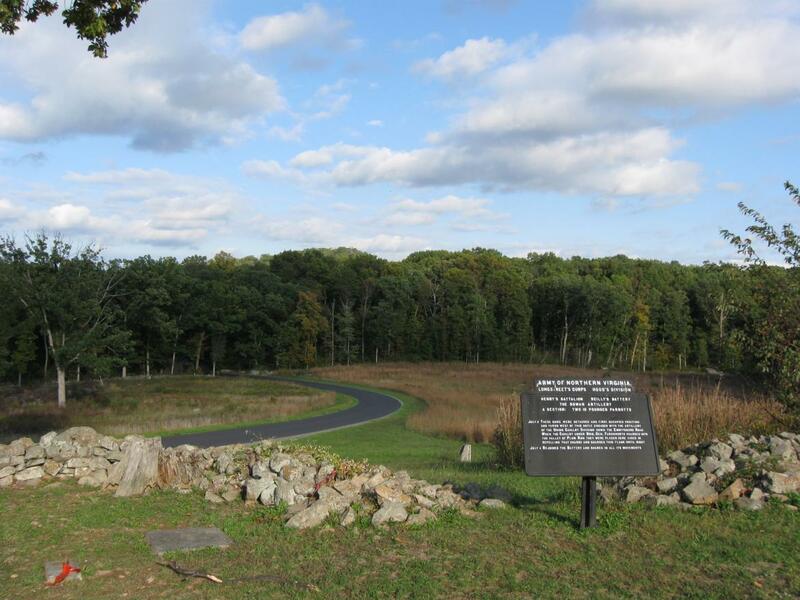 Let’s say that you are a first time visitor (or an infrequent visitor) to Gettysburg and that you had a relative in the 5th New York Cavalry Regiment. You want to visit the monument, so you go to the National Park Service Information desk. They might point to its location on a map, and they might know that there are signs directing you to it from South Confederate Avenue. So you drive to the south end of the battlefield. 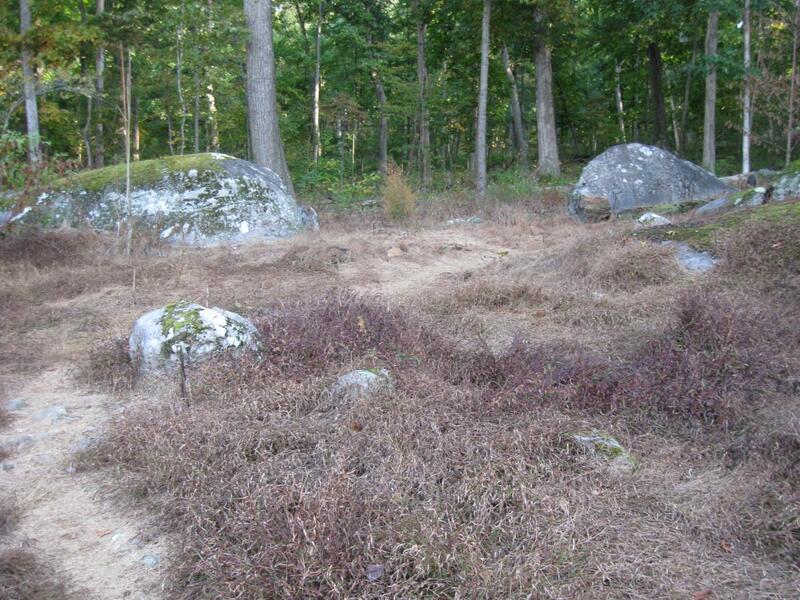 You stand on Warfield Ridge on South Confederate Avenue by Reilly’s North Carolina Battery’s position. Big Round Top is the tallest trees in the center background. Bushman Hill is marked by the tallest trees to the right of Big Round Top. This view was taken facing northeast at approximately 5:15 PM on Wednesday, October 6, 2009. 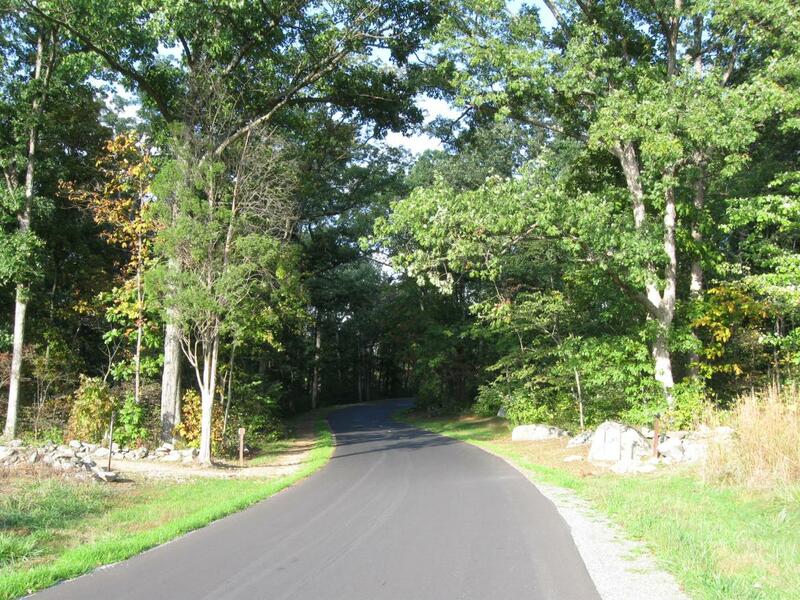 You drive down Warfield Ridge, into the woods, and around the curve in the distance. This view was taken facing south at approximately 5:15 PM on Wednesday, October 6, 2010. 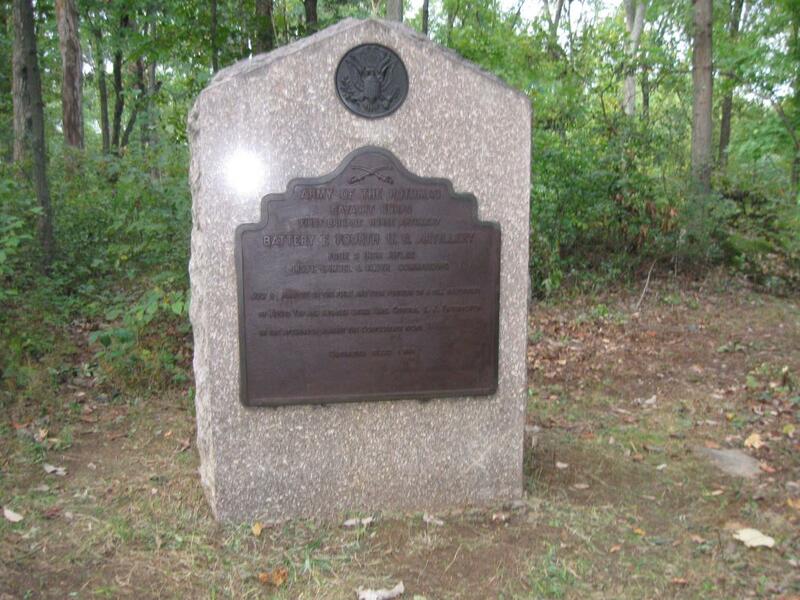 Here on the right is the marker for Farnsworth’s Brigade, of which the 5th New York was a member. You know you’re almost there. 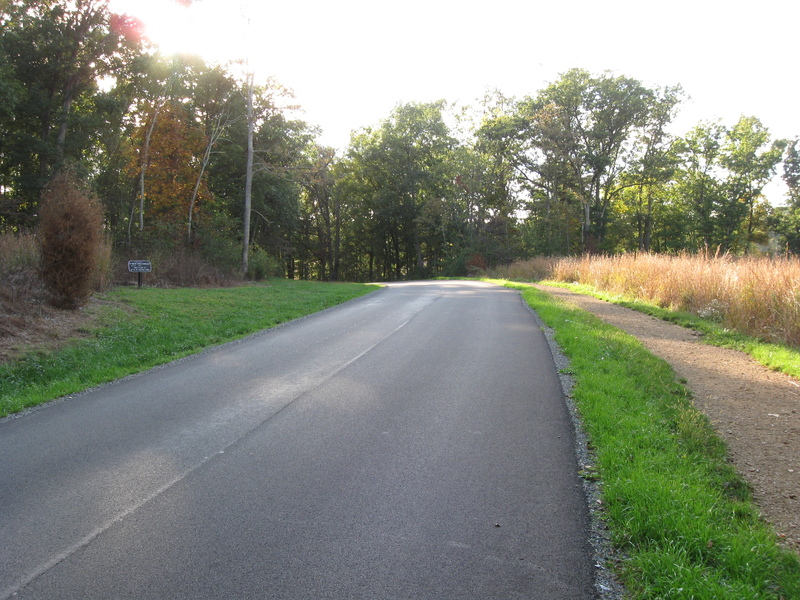 This view was taken facing southeast at approximately 5:15 PM on Wednesday, October 6, 2009. You keep going a couple of yards, something makes you turn around, and what do you see? On the right is one of the new horsey highways. On the left of the road, however, is a sign. Could this be it? This view was taken facing southwest at approximately 5:15 PM on Wednesday, October 6, 2010. Success. Now all you have to do is follow the path to the monument. 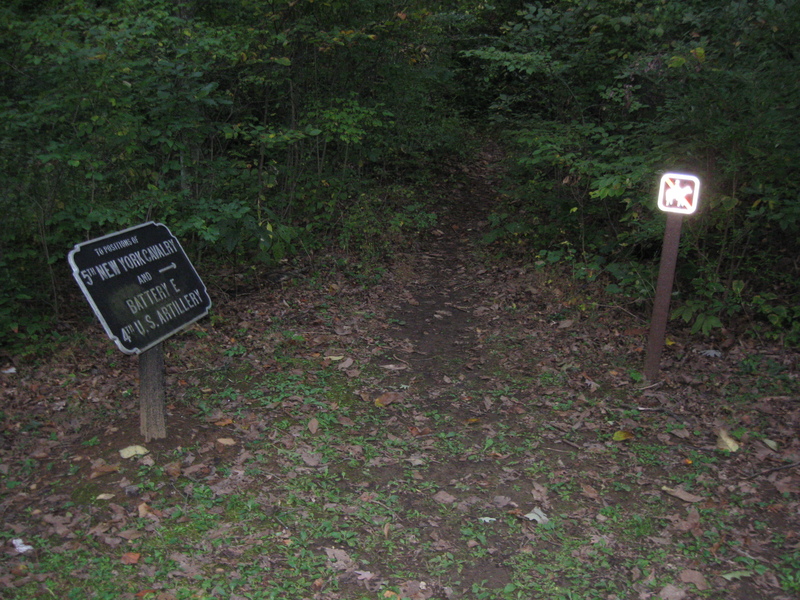 Of course if there wasn’t a path here, this sign wouldn’t be here, right? 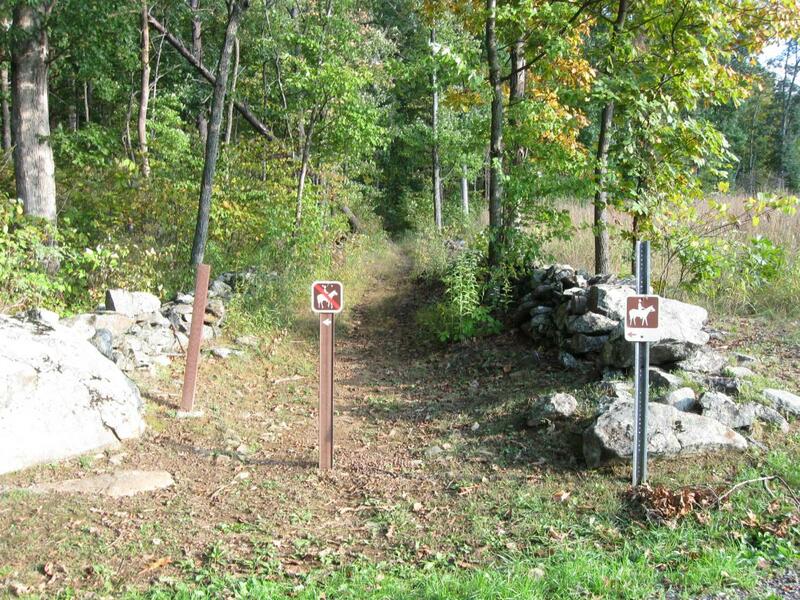 Or if there wasn’t a path here, the National Park Service would have a sign stating that there really isn’t a path here right? This view was taken facing south at approximately 5:15 PM on Wednesday, October 6, 2010. And look. 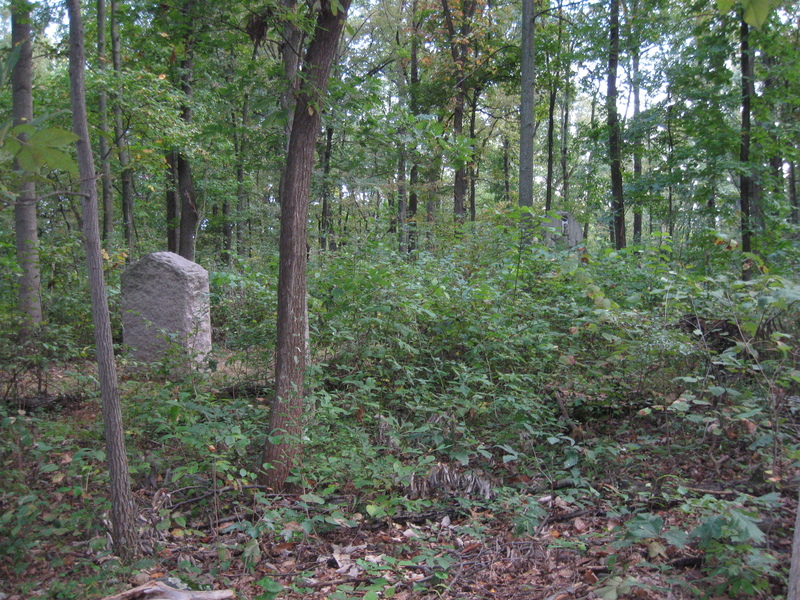 The National Park Service has nicely killed some of the undergrowth in the area so that you can easily make it to the monument. This view was taken facing south at approximately 5:15 PM on Wednesday, October 6, 2010. Or did they? 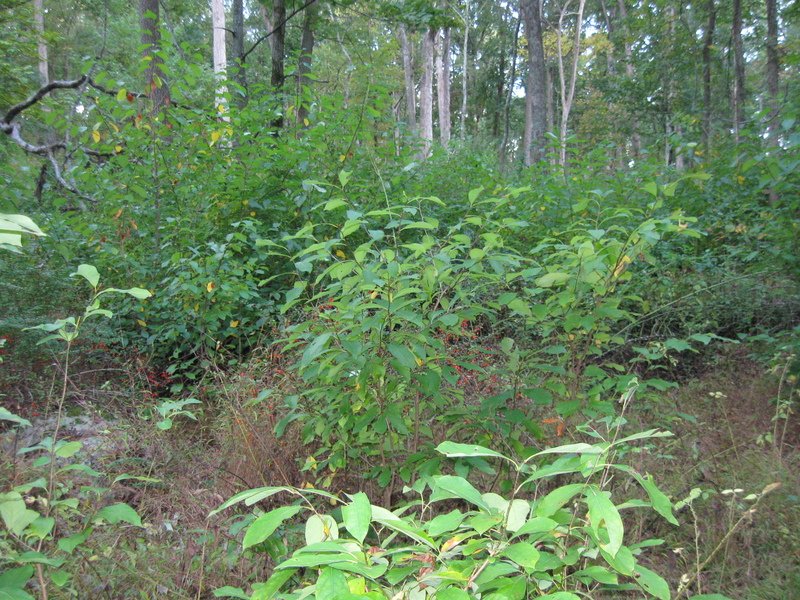 On the other side of this tree that is blocking the path its starting to look pretty overgrown. This view was taken facing south at approximately 5:15 PM on Wednesday, October 6, 2010. Really overgrown. This view was taken facing northeast at approximately 5:15 PM on Wednesday, October 6, 2010. 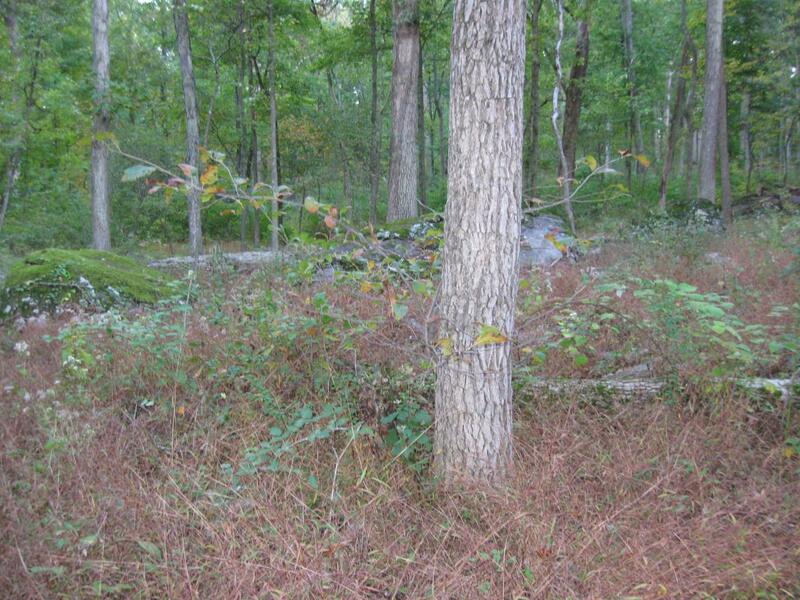 We have lost all semblance of a path here, and there are multiple trees laying on the ground, hidden by the undergrowth, and the area is very difficult to navigate. But hey, that was a U.S. Government sign pointing us this way and the path must be here somewhere. This view was taken facing southeast at approximately 5:15 PM on Wednesday, October 6, 2010. OK, this is not looking promising at all. Where did we go wrong? This view was taken facing south at approximately 5:15 PM on Wednesday, October 6, 2010. 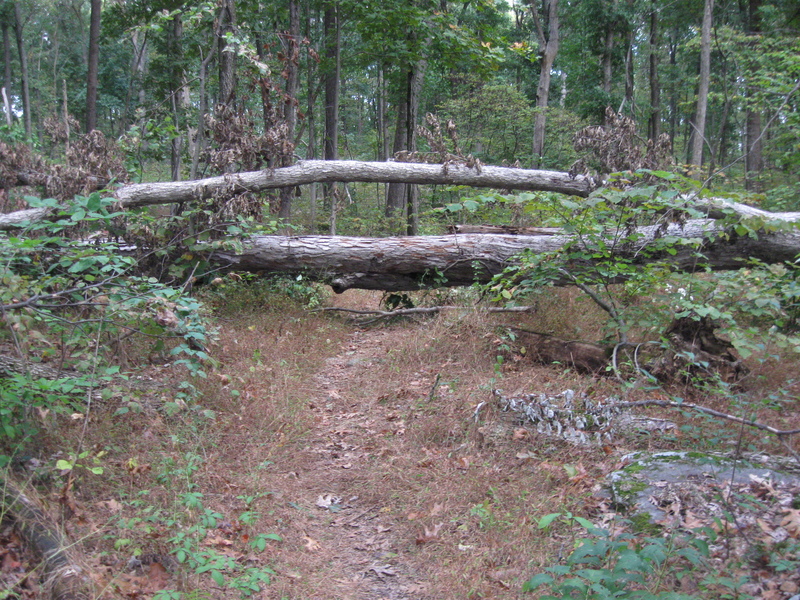 There are some small fallen trees to navigate, and some huge trees and “sticker bushes” blocking your path every step of the way. This view was taken facing southeast at approximately 5:15 PM on Wednesday, October 6, 2010. You realize, now that you are isolated, and out of sight of any landmarks that this might have been a bad idea. You start checking the moss on the trees to help you get yourself out if you need to. 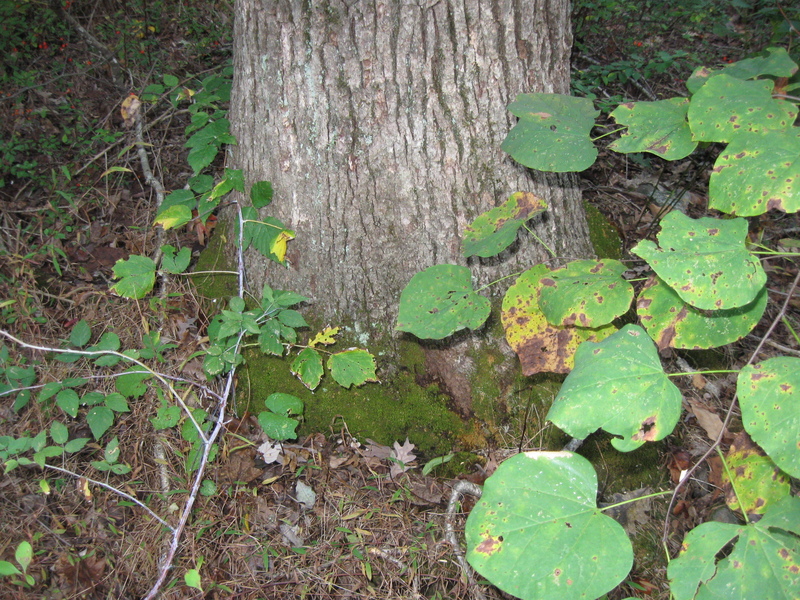 Now let’s see, is the moss supposed to be on the north or the south side of the tree? This view was taken facing southeast at approximately 5:15 PM on Wednesday, October 6, 2010. 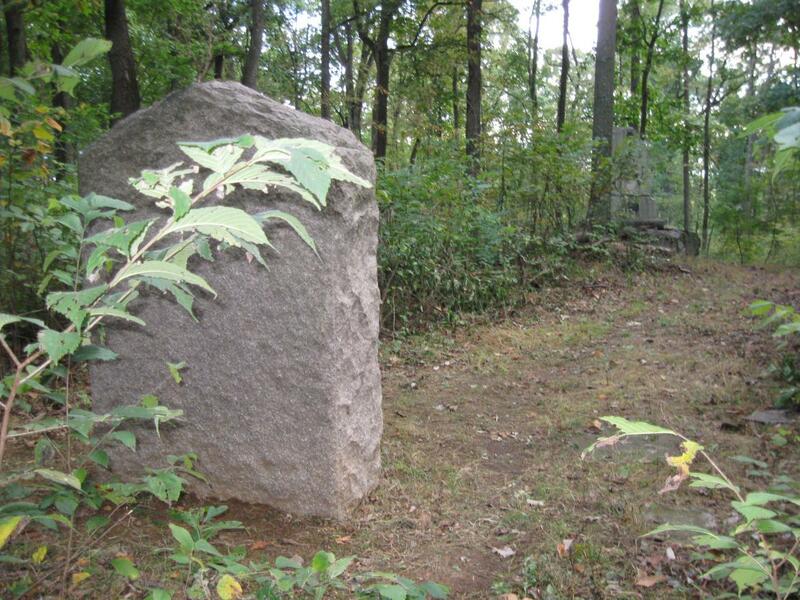 Even though there are a couple of small hills in the area, you know the monument is located on Bushman Hill, which must be the biggest hill, so you keep moving upwards. You move to the other side of this rock, and… This view was taken facing southeast at approximately 5:15 PM on Wednesday, October 6, 2009. Eureka! Finally, here are the monuments. This view was taken facing south at approximately 5:15 PM on Wednesday, October 6, 2010. The monument to Battery E, 4th United States Artillery (Elder’s Battery) is on the left, and the monument to the 5th New York Cavalry is in the right background. This view was taken facing southwest at approximately 5:15 PM on Wednesday, October 6, 2010. 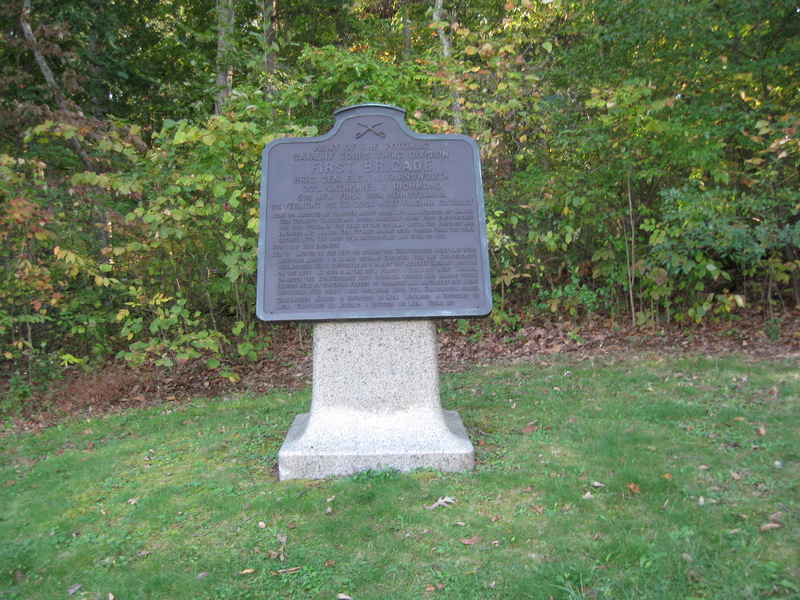 Here’s the front of the marker to Elder’s Battery. It’s getting dark enough by this time that the camera wants you to use the flash. This view was taken facing north at approximately 5:45 PM on Wednesday, October 6, 2010. 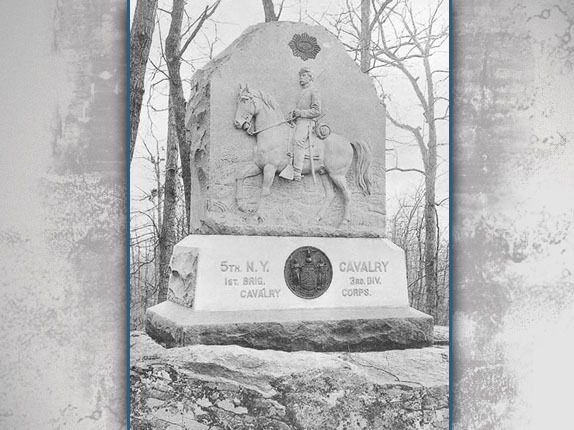 Here’s the monument to the 5th New York Cavalry. This view was taken facing southwest at approximately 5:15 PM on Wednesday, October 6, 2010. 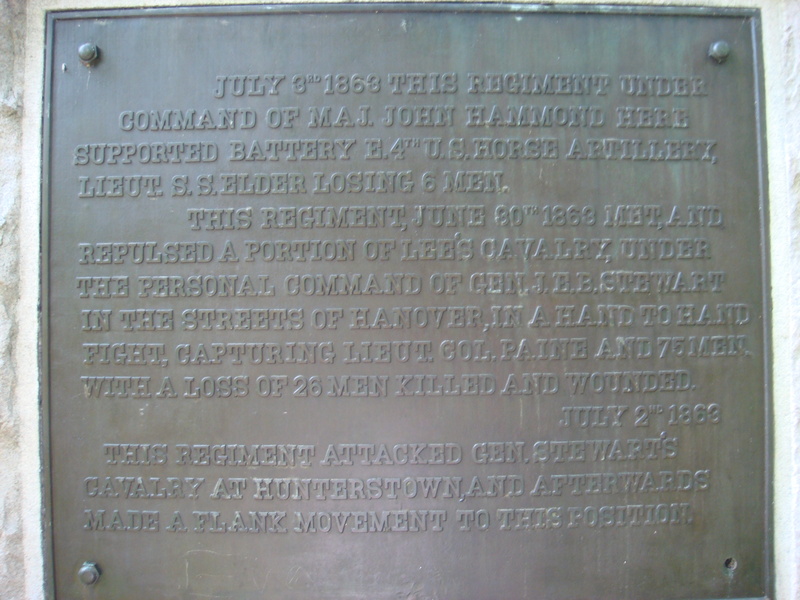 The monument was dedicated on July 3, 1888, 25 years after its men went into action at Gettysburg. 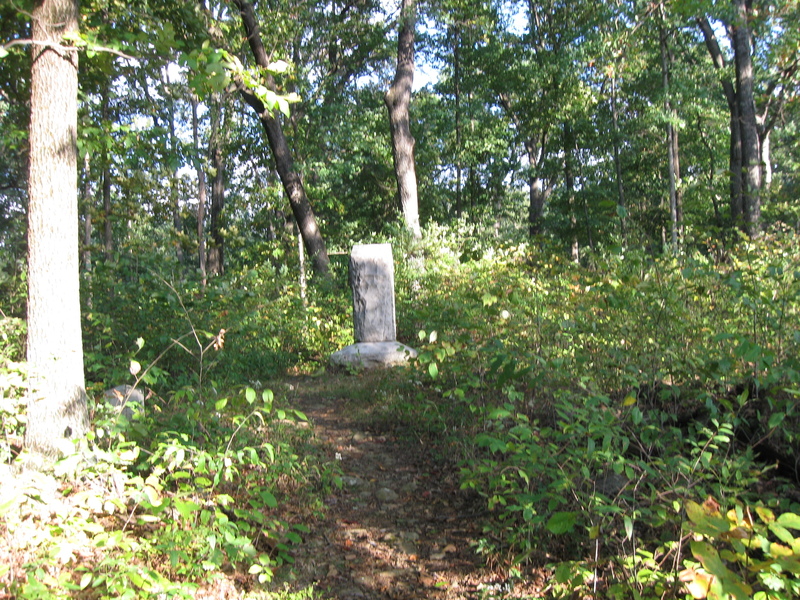 The trees on Bushman hill during the battle were thin on the top of the hill, and still fairly thin when the monument was dedicated. 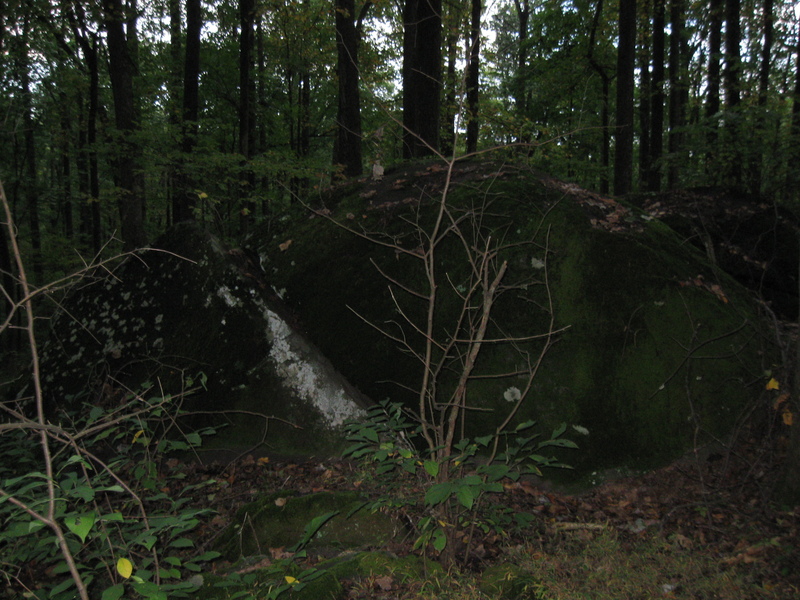 The monument was not dedicated here in 1888. 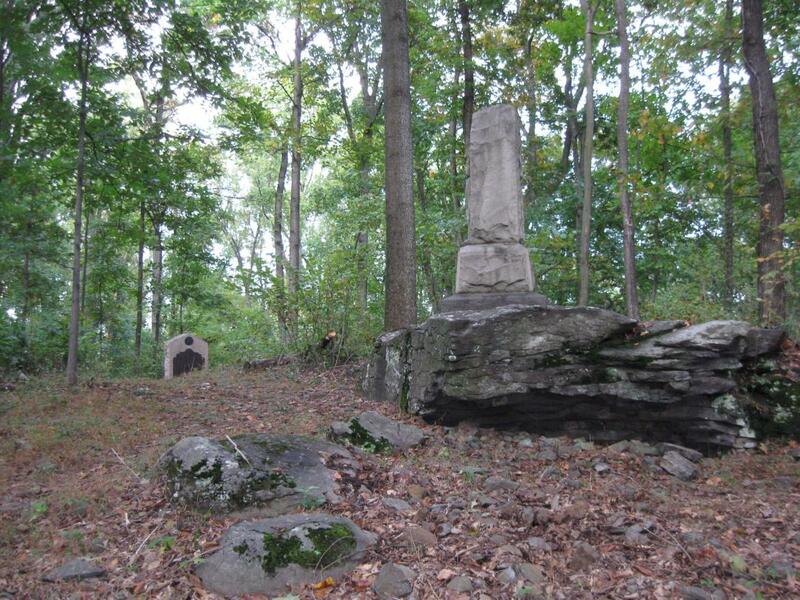 It was dedicated on the slopes of Big Round Top. 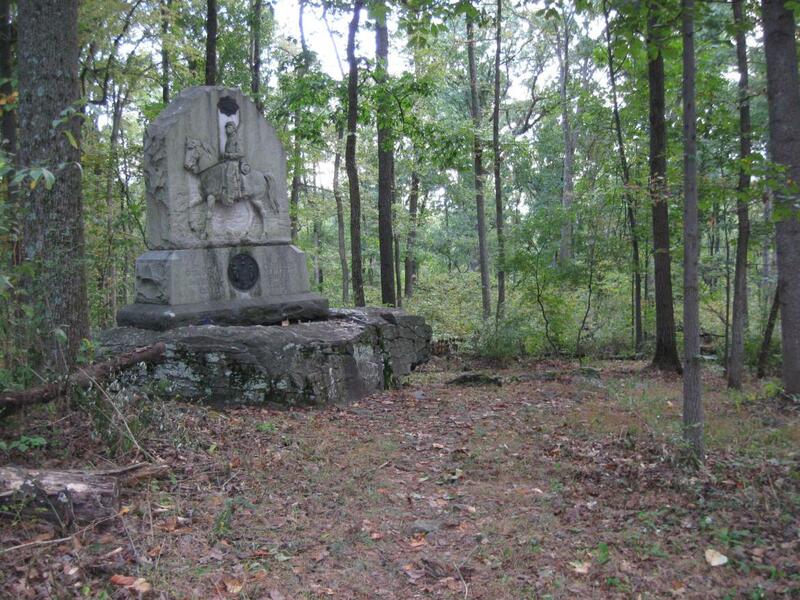 The monument was moved here in 1893 after the Gettysburg Battlefield Memorial Association acquired Bushman Hill (Thanks to Licensed Battlefield Guide Andie Custer for this reminder). This view was taken facing southeast circa 1893. 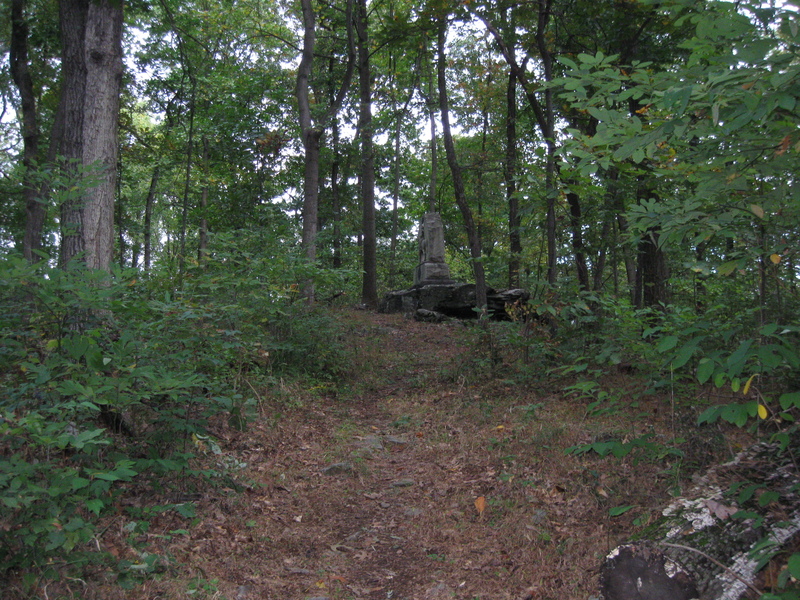 Now there are a lot of trees on Bushman Hill, and the monument is not doing well underneath their canopy. This view was taken facing southeast at approximately 5:15 PM on Wednesday, October 6, 2010. The plaque on the back of the monument has had a bolt missing for years. 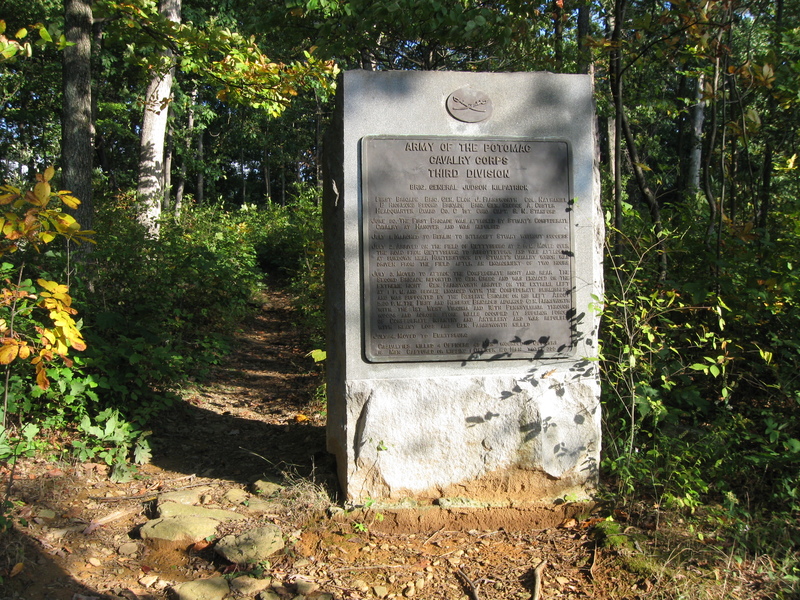 Hopefully the National Park Service will think about replacing it sometime in the future before someone attempts to remove some more bolts and the plaque. Also someone has tried to scratch some graffiti at the bottom of the plaque. 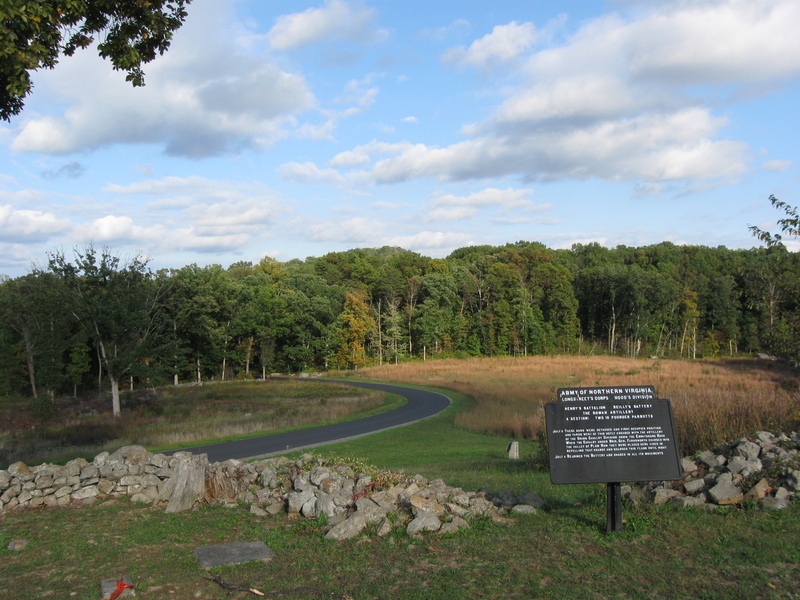 This view is courtesy of Paul Gioni, whose great-great grandfather William Plumb Bacon served with the 5th NY Cavalry at Gettysburg as a Major. As Lieutenant Colonel he command the regiment for a short time before he resigned after serving three years. 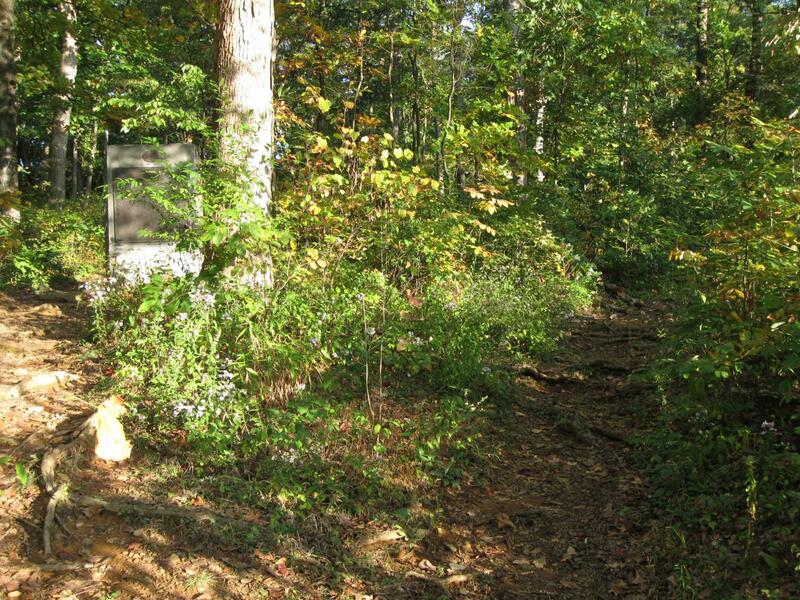 You have also noticed that there is a path leading to the monument, but nowhere near the U.S. Government/War Department sign that pointed you into the woods. Where can I access this path? This view was taken facing southwest at approximately 5:15 PM on Wednesday, October 6, 2010. 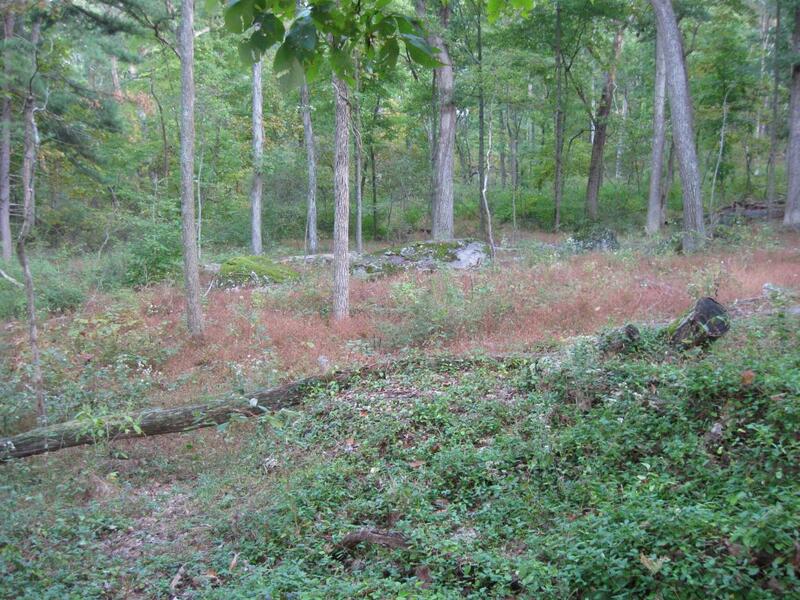 Let’s start back on Warfield Ridge near Reilly’s Battery. 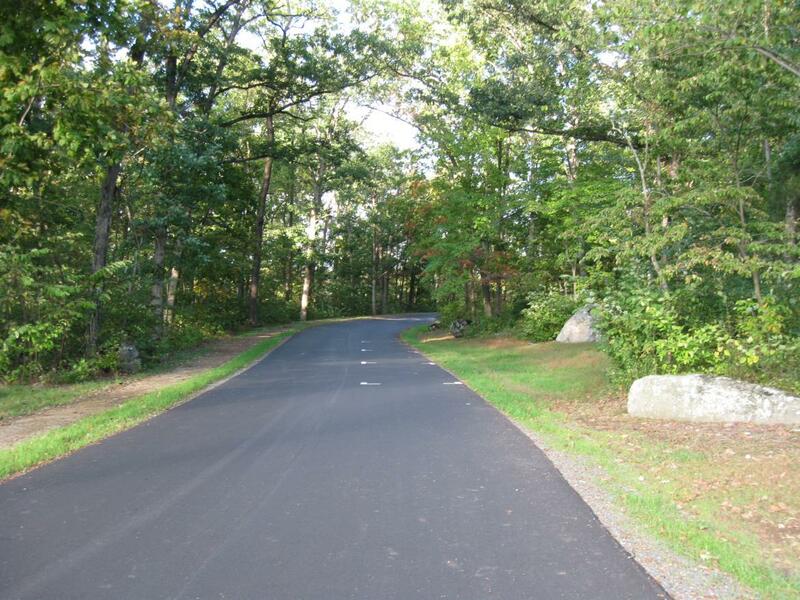 Drive to the bottom of the hill where the road enters the woods and get out of your vehicle. This view was taken facing northeast at approximately 5:15 PM on Wednesday, October 6, 2010. 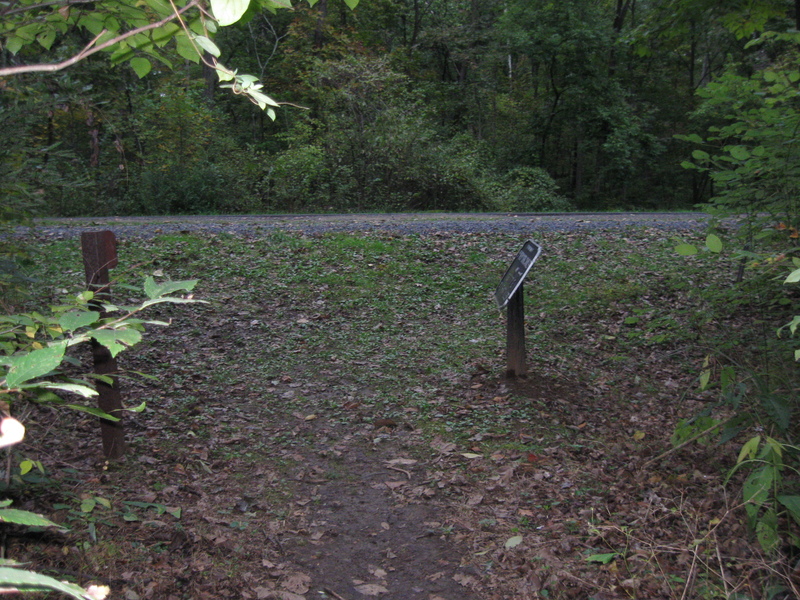 At this avenue/horse trail intersection is where you want to begin walking. This view was taken facing northeast at approximately 5:15 PM on Wednesday, October 6, 2010. 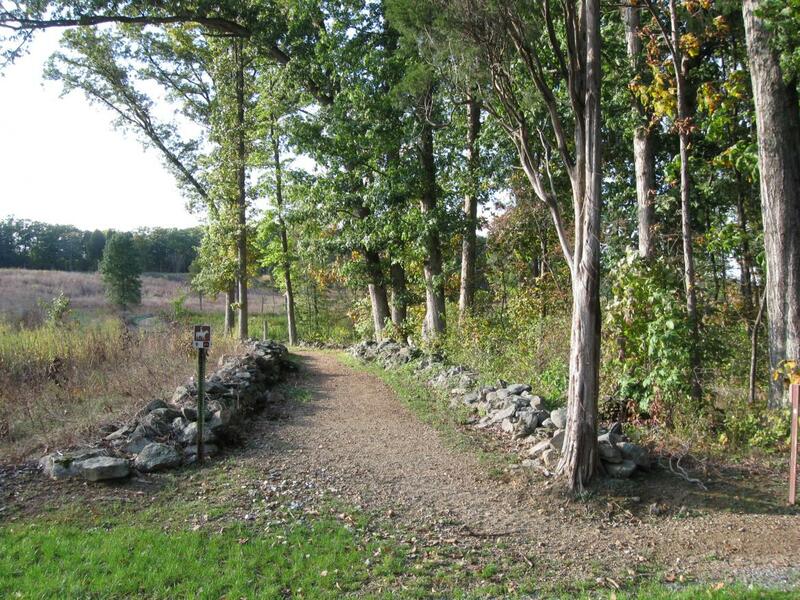 The path on the left (north) side of the road takes you to the Bushman Farm. This view was taken facing north at approximately 5:15 PM on Wednesday, October 6, 2009. The path on the right (south) side of the road is the one that you want to take. This view was taken facing south at approximately 5:15 PM on Wednesday, October 6, 2010. 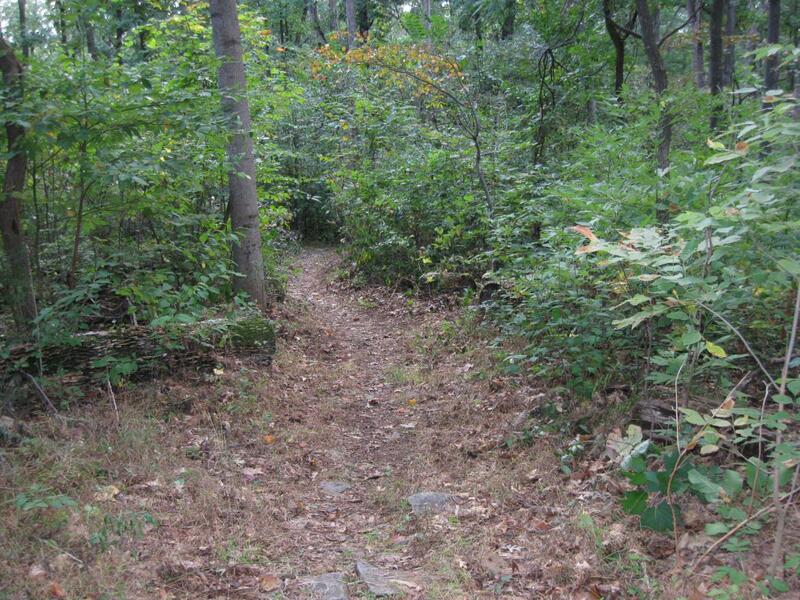 A few yards in, you have to make a choice about which path to take, left or right. Well left looks more promising… This view was taken facing southwest at approximately 5:15 PM on Wednesday, October 6, 2010. 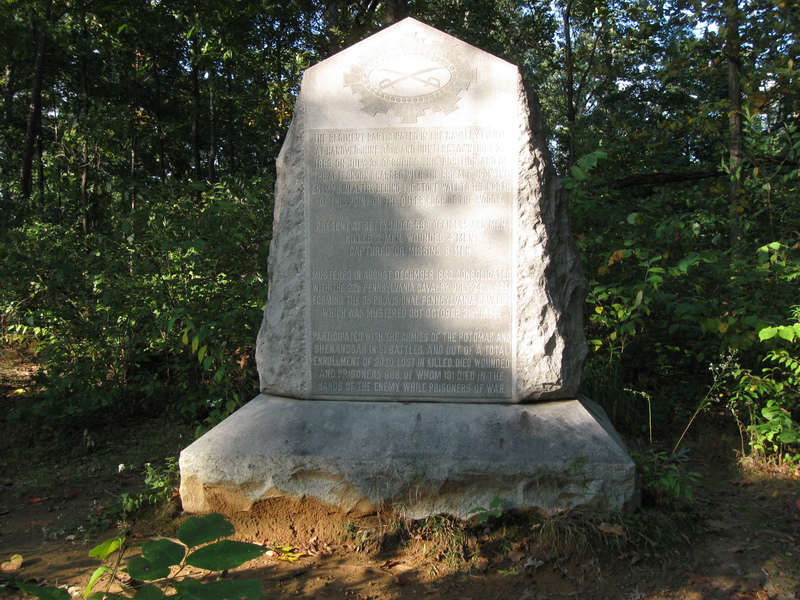 … because it goes besides the marker to Kilpatrick’s Division, consisting of Farnsworth’s and Custer’s Brigades. This view was taken facing southeast at approximately 5:45 PM on Wednesday, October 6, 2010. And here’s a monument… This view was taken facing east at approximately 5:15 PM on Wednesday, October 6, 2010. 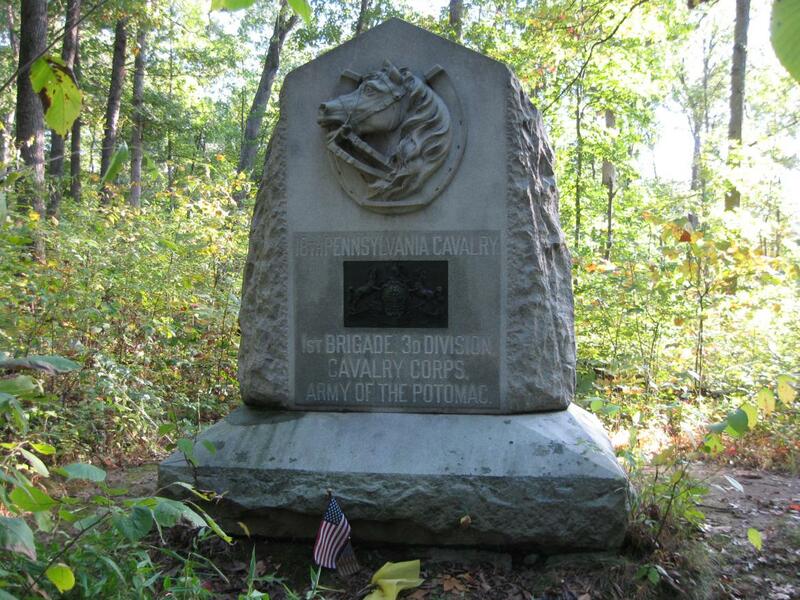 … to the 18th Pennsylvania Cavalry Regiment. This view was taken facing southeast at approximately 5:15 PM on Wednesday, October 6, 2010. As you were diligently photographing the back of the monument, you noticed that the path ends here. So you took the wrong “fork.” This view was taken facing northwest at approximately 5:15 PM on Wednesday, October 6, 2010. So now we’ll take the right fork. This view was taken facing southeast at approximately 5:15 PM on Wednesday, October 6, 2010. The path isn’t very wide, but it is visible. This view was taken facing northeast at approximately 5:15 PM on Wednesday, October 6, 2010. After a couple of hundred yards, you come across the large tree across the path. 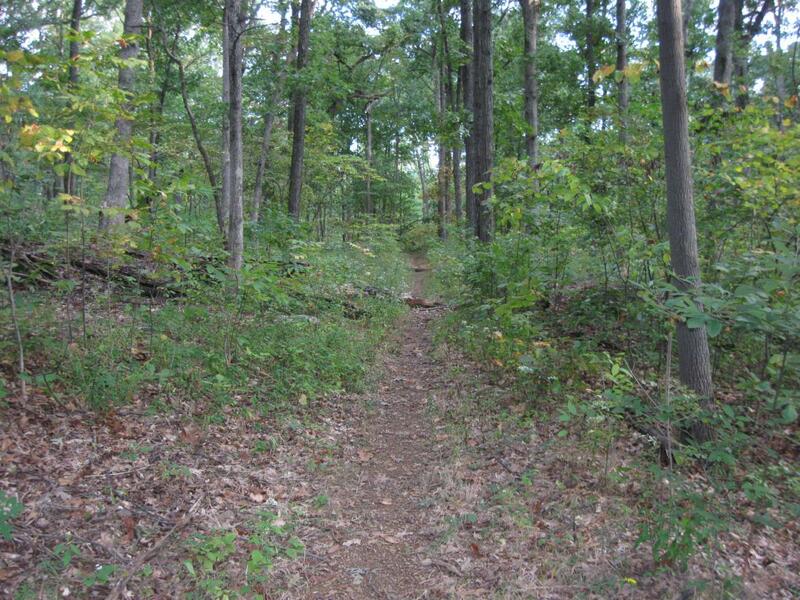 We left the path and went around it to the right. 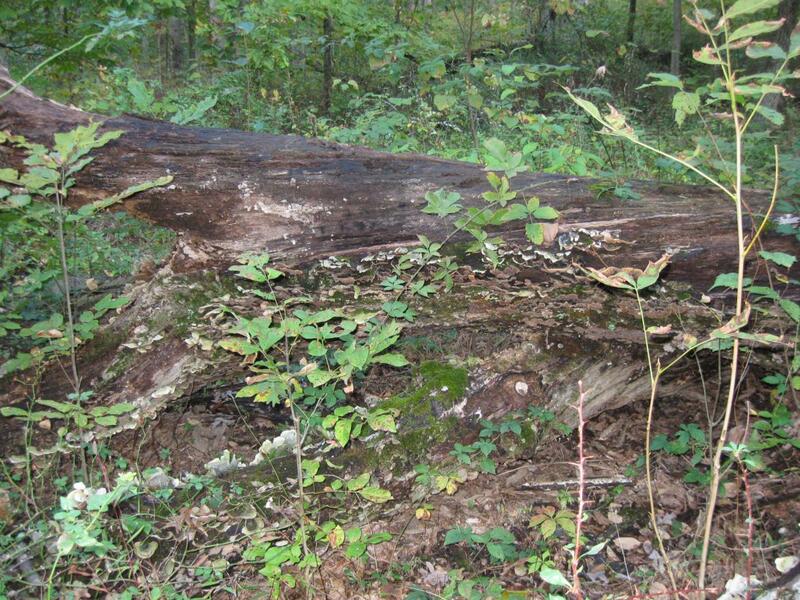 Those with flexible bodies can crawl under it at a couple of places. This view was taken facing northeast at approximately 5:15 PM on Wednesday, October 6, 2010. After a couple of hundred more yards you come to the monuments. 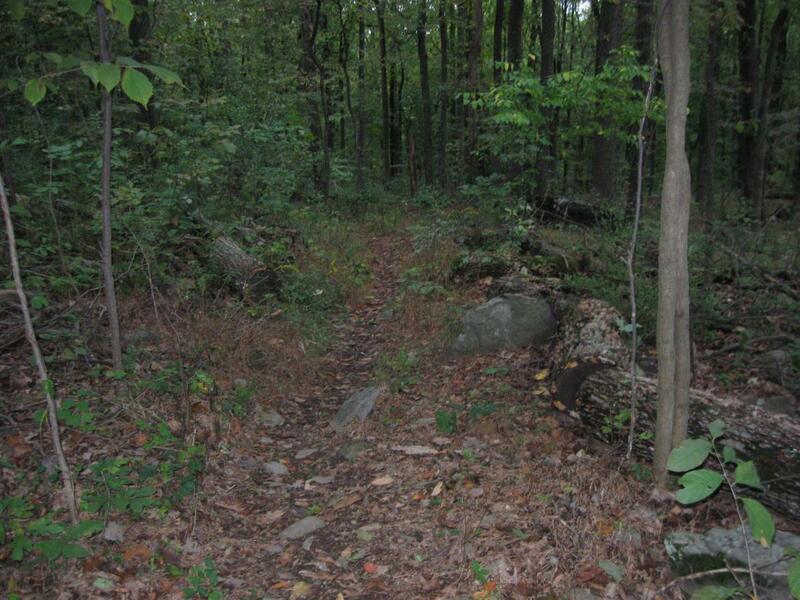 But the path continues to the right of the big rock on which sits the 5th New York Cavalry Monument. This view was taken facing northeast at approximately 5:15 PM on Wednesday, October 6, 2009. So as darkness is approaching, we’ll take this not very wide path and see where it comes out. This view was taken facing northeast at approximately 5:15 PM on Wednesday, October 6, 2010. 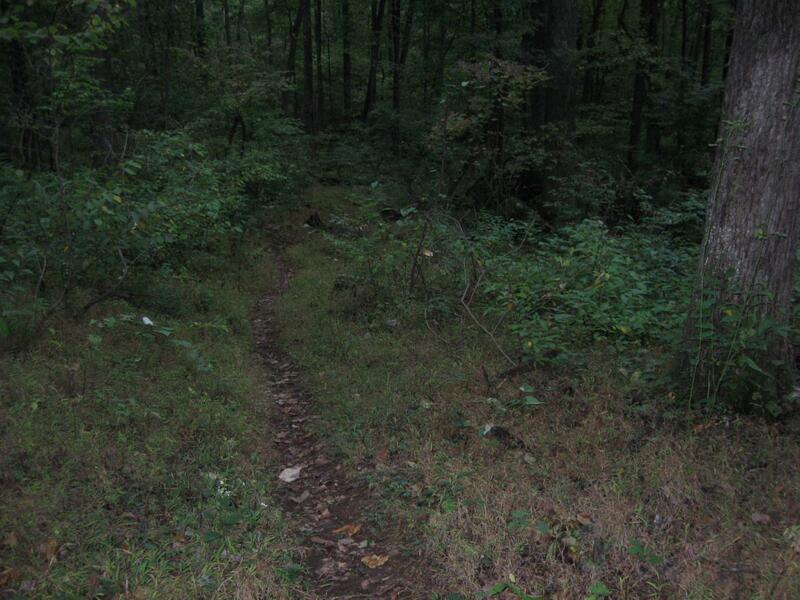 Some of the areas along the path are fairly steep. This view was taken facing northeast at approximately 5:15 PM on Wednesday, October 6, 2010. 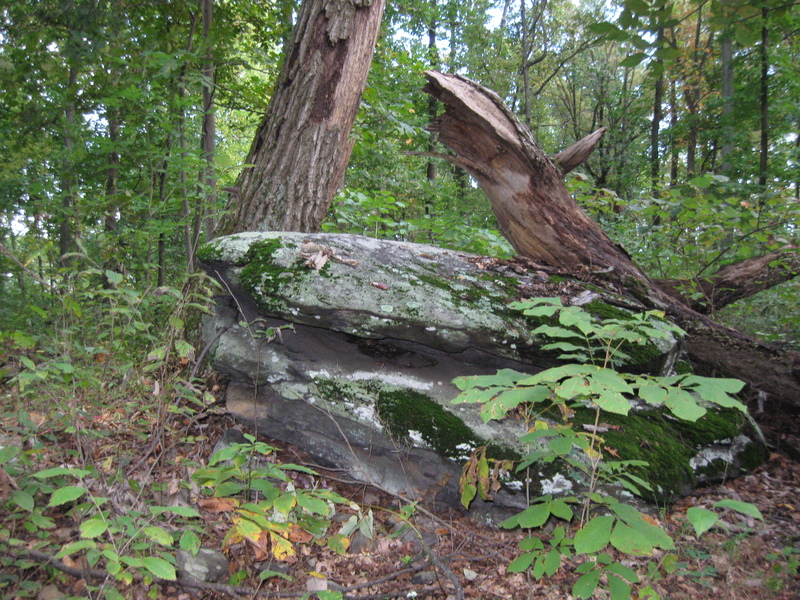 After a couple of hundred yards we started thinking about where the moss was on the rocks again. This view was taken facing south at approximately 5:45 PM on Wednesday, October 6, 2010. 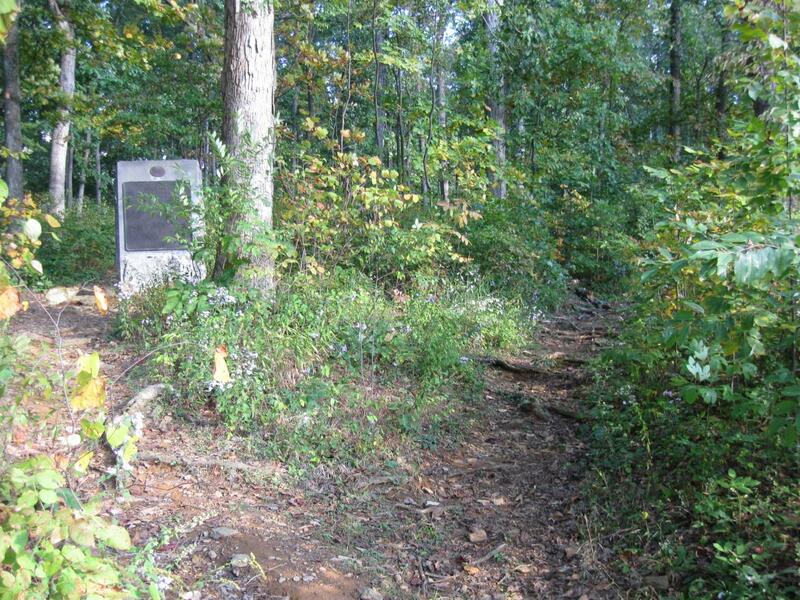 Eventually we made it back to South Confederate Avenue, and look there’s another sign! This view was taken facing north at approximately 5:15 PM on Wednesday, October 6, 2010. 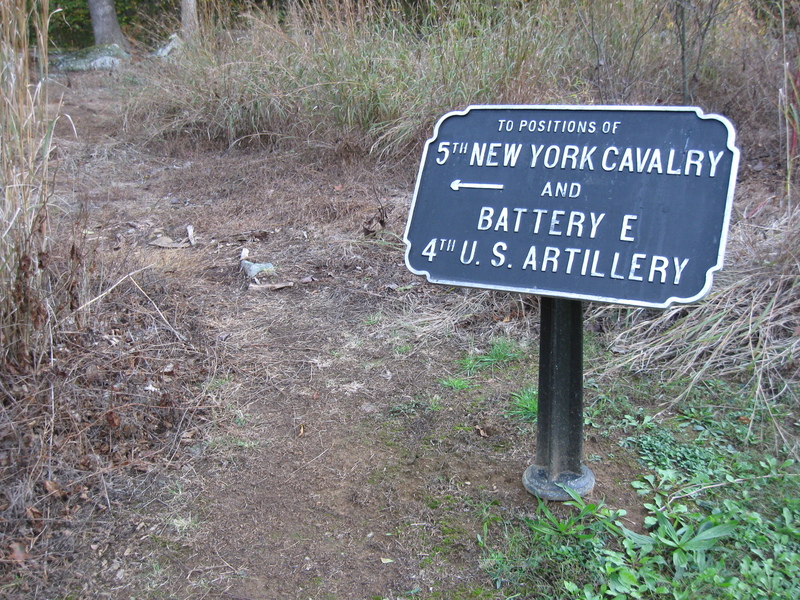 Another War Department sign showing the path to the 5th New York Cavalry and Elder’s Battery. And we now know that this path is useful. It certainly would have been nice to know this sign was here before we started our journey. This view was taken facing south at approximately 5:15 PM on Wednesday, October 6, 2010. If only we had driven a little farther, we would see the sign to the right of the curve in the center background of this view. 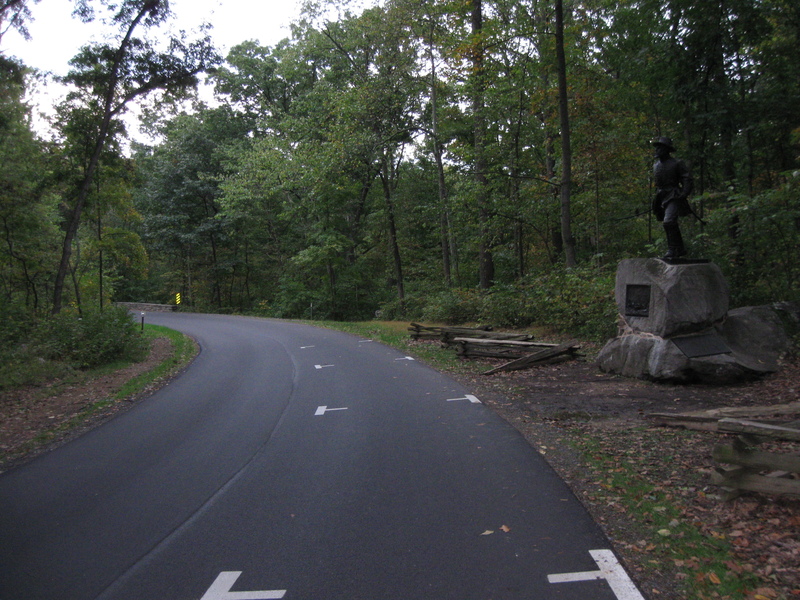 It is located between the William Wells statue on the right and the bridge over Plum Run in the left background. So now we know where the monument is. Good luck to those who come before us, are clueless about the misleading sign, and make the same mistake. This view was taken facing east at approximately 5:15 PM on Wednesday, October 6, 2010.